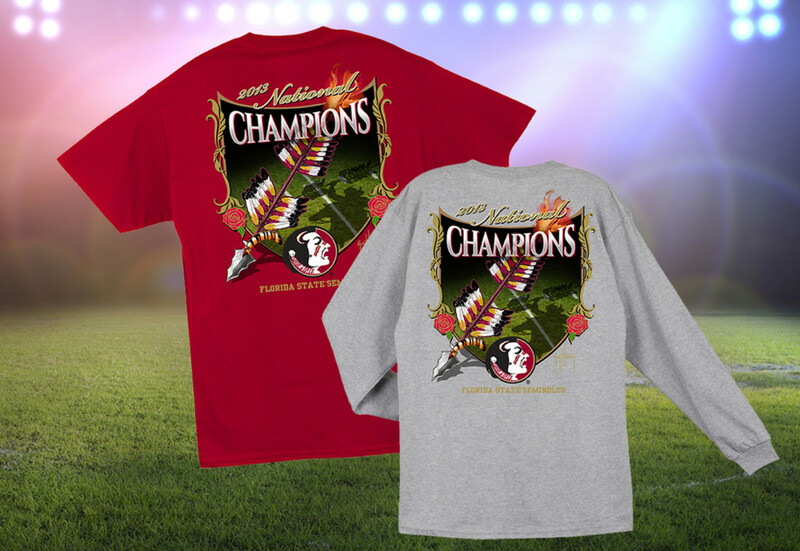 Marine artist, scientist and conservationist Guy Harvey created a special T-shirt design to commemorate the Florida State University football team’s national championship season. Available in garnet short-sleeve and heather gray long-sleeve, each shirt features a full print on the back and Harvey’s signature logo on the front. The presses began printing immediately after Florida State’s victory Monday night over Auburn in the BCS National Championship Game and shirts will begin shipping today. A portion from the proceeds of the sale of each shirt goes to the Guy Harvey Ocean Foundation.